Trying to change the permissions or ownership of a folder, but the Security tab is missing? 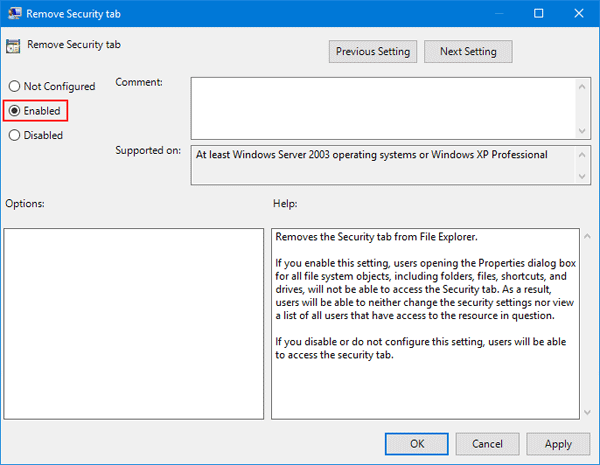 How can I disable or restore the Security tab in Windows 10? 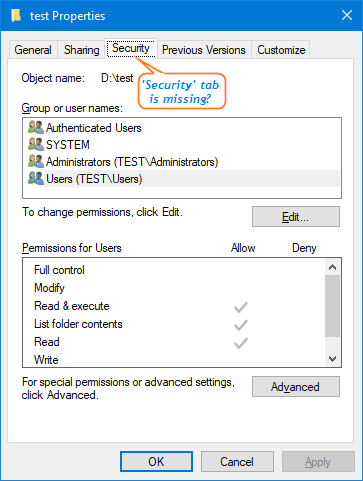 In this tutorial we’ll show you 2 simple ways to remove or enable the Security tab from folder properties in Windows 10. Press the Win + R keyboard combination to bring up a run box then type gpedit.msc and press Enter. 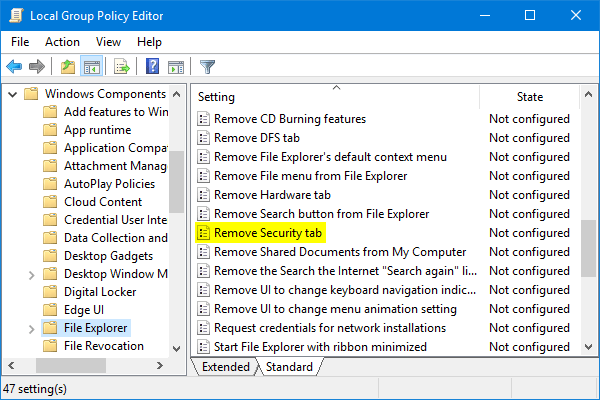 On the right hand side, double-click the “Remove Security tab” setting. If you want to remove Security tab, select Enabled and click Apply. If you want to restore the missing Security tab, select Disabled instead. The policy setting will take effect immediately. Press the Win + R keyboard combination to bring up a run box then type regedit and press Enter. On the right-side pane, create a new DWORD (32-bit) NoSecurityTab and set its value to 1. This will hide the Security tab from folder properties. If you want to re-enable the Security tab, simply change the value of NoSecurityTab to 0. Close Registry Editor and re-open the folder properties, the Security tab will be hide from everyone or magically appear.